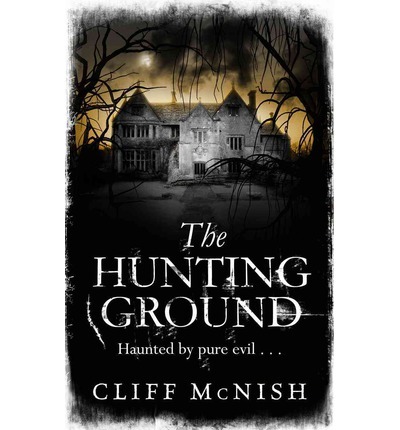 So here is a little teaser of The Hunting Ground. That isn’t the only horror novel for teens written by McNish, here is a short introduction about Breathe by the author himself. Elliot and his brother Ben move into Glebe house with their father who is commissioned to renovate it for sale. The old mansion is more than it seems though, it is home to ghosts and it’s past is full of terrible tragedy. It seems beyond spooky and when they start to read pages of a diary they realise it is more than just ghosts. Real evil inhabits part of the estate called the East Wing. This place holds the darkest secrets in its labyrinthian corridors. It is a building devised by an evil and twisted mind. The old owner, Cullayn, is assisted by Eve, the ghost of a young girl and the boys are drawn into the darkness through trickery and dark manipulation. Will they escape teh horrible fate Cullayn has planned for them. Will they be able to vanquish the evil once and for all? Or will they be trapped for ever like those who came before. them? A truly creepy story. Tension and darkness are woven through every page, with only the briefest glimpses of light to offer hope. It is everything you want in a ghost story; cruel, creepy, sinister and tense. It is hard to put down and there are times you may even forget to breathe. McNish has woven a darkly compelling and chilling tale. If you likes to be creeped out then you’ll love this. Warning! This book says on the back cover that it isn’t suitable for younger readers, pay attention to this warning. I’d have to say probably 15+ for this.